Beta-carotene is present in yellow and orange colored fruits and vegetables, and it is a precursor of vitamin A. It will get converted into vitamin A (retinal) in the body. 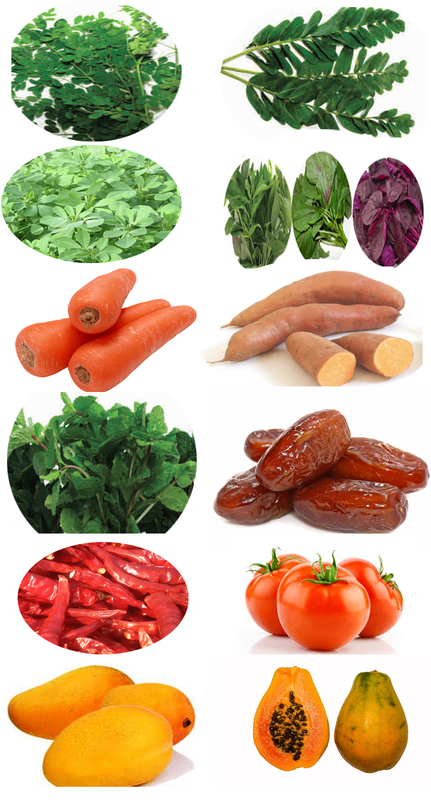 Vitamin A is required for good vision, strong immune system and for healthy skin. Beta-carotene is an anti-oxidant and it protects the body from free radicals which damage cells.